www.fromatravellersdesk.com: One Thing I Did Not Like on my First Trip to Malmö? The standby trip to Malmo was made possible by the pre-booked journey to London in England, Hamburg and Berlin in Germany, Copenhagen in Denmark, Paris in France and several cities in Italy like, Florence, Rome, Milan, Bergamo and Pisa. And how did we manage to have a smooth travel in the above 5 countries in just 17 days? Simple. 1. We are prepared for the trip. Bus and guided walking tours are booked in advance. 2. Itinerary are made ahead of time with specific destinations and length of stay. 3. Pre-arranged hotel accommodation and/or private homes, as the case may be. 4. We packed our luggages as lightly as we can. 5. We don't make demands so we know what to expect, and nothing more. For me, this is true in every journey. Do not expect too much. What you pay is what you get! What happened in Malmo is what we did not expect. I have great impression of the people of Sweden as I have met them in Cyprus and Greece. They are mostly good people. Don't get me wrong. The best thing is, we have seen quite a lot in Malmo in so short stay. The excitement started when the buses begin to roll the wheels and paved the way to Oresund Bridge, the 16-kilometre road and rail link heading towards Malmo. It took us barely half an hour to reach Malmo. 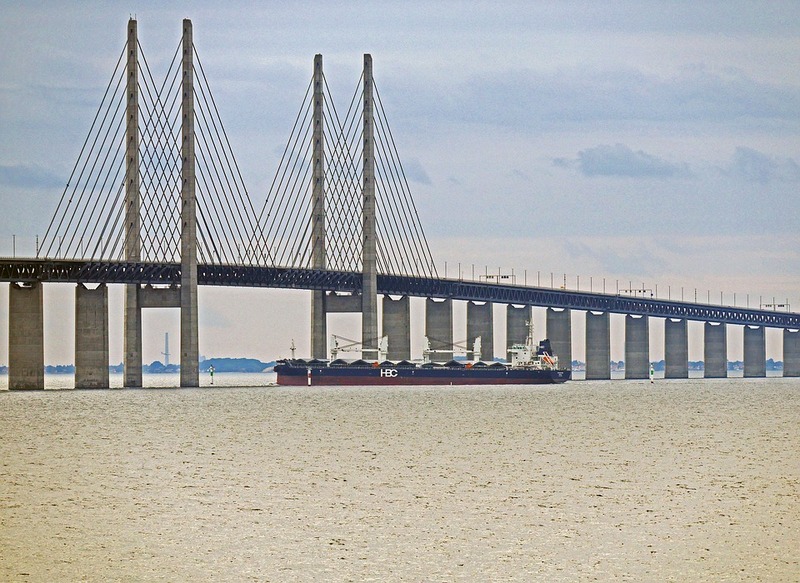 For the convenience of those travelling to Malmo, crossing the bridge is only 10 minutes by car and a little over 30 minutes by train. You will be able to tour the city in one day considering the size and location of points of interest. Free tours are offered by some organizations. As the tour services are free, the organization and the tour guide rely solely on your voluntary donations to support them and the services to keep on going. 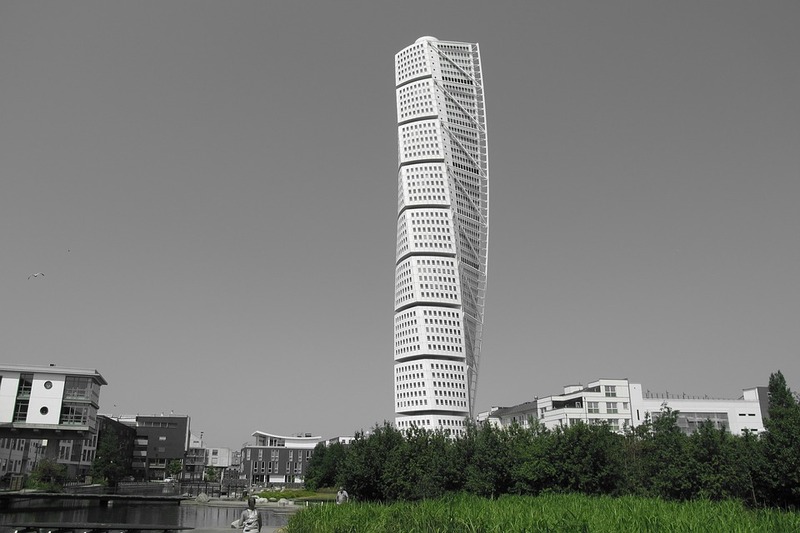 During the walking tour, you will learn the history of Malmo and its buildings and monuments. It includes Stortorget, Lilla Torg, Gustav Adolfs Torg, Malmohaus, Slottmollan, Turning Torso and many more. To avoid disappointments, you are advised to register and book in advance. The walking tour rules, schedule and other pertinent information are available in the Malmo Walking Tour website. We were in a group of fellow tourists when we (I was with my better-half and my daughter) when we decided to part ways with other tourist for few minutes to have a close up view of an interesting structure that I saw near the marina. The three of us were laughing and so excited as always when we had to cross a narrow street. But of course we had to wait as the traffic sign is in red. And so it turned green so we need to cross. Holding each one hand, the three of us. And then comes a car in full speed while we were at the middle of the street...and suddenly in a screeching halt or should I say...screaming halt! As if these young boys in the car are not contented to scare us. They shouted words that we never thought would come from people from a country we respected so much. And why did it happen in such a decent town as Malmo. It could be an isolated case I supposed. Is it happening in Malmo everyday or it is some kind of a joke? Or jealousy? That ... I have to find out. Whatever it is, the incident tarnish my liking of the country. As the saying goes, first impression lasts.